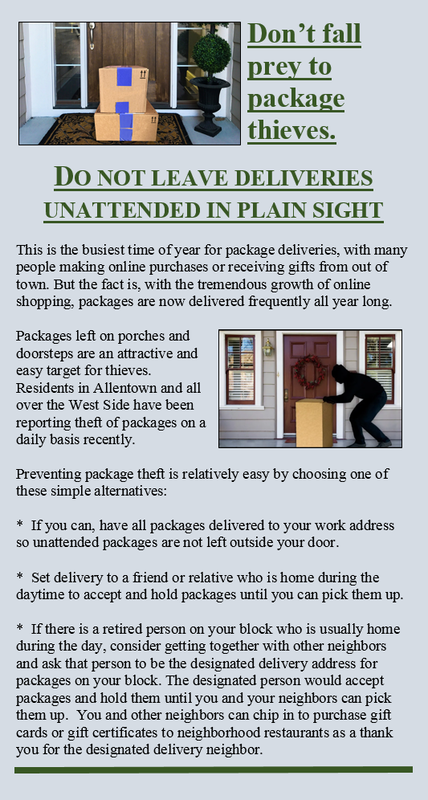 Package thefts are up in Allentown and the West Side…. Never be afraid to call 911. It is important to report all criminal and “disturbing the peace” issues – regardless of how insignificant they may seem to be. Buffalo police, like all modern organizations, rely on statistics to help them plan – especially the planning of manpower assignments. If crimes are not reported, then crime statistics are inaccurate and artificially low. If activity is accurately reported, staffing levels will be set to reflect the activity. Residents are asked to call 911 to ​​report all activity ​​ , even nuisance crimes. 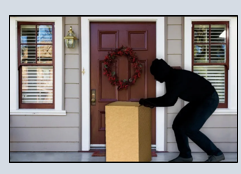 ● Planters or items being damaged or stolen from your yard. ● Parked cars blocking your driveway or a fire hydrant. ● People screaming or fighting in the street late at night. ● Noise coming from parking lots, nearby homes or businesses that cause a disturbance of the peace. Calls can always remain anonymous, but you can also request a case number in order to ensure that the call was logged into the system. 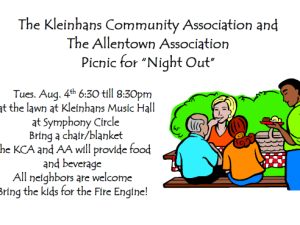 Accurate statistics are important so that your neighborhood representatives can work with police and elected officials to make Allentown safe and peaceful for residents and visitors alike. 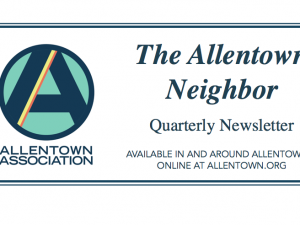 Property values in Allentown continue to rise, making real estate in the neighborhood among the most desirable in Western New York. 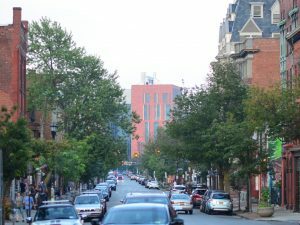 With such demand comes disreputable individuals who are looking to take advantage of homeowners and purchase your property for less than it is worth. Nothing worth doing is ever easy and these sales come at a high cost to you as a seller. These speculative investors will try to lure you in with stories of their market expertise, long experience in real estate and their deep cash reserves, but what they are really doing is trying to trick you into accepting an offer for far less than your home is worth. If you are truly looking to sell your home, never go it alone. Hire an independent, reputable real estate attorney or realtor to examine all offers and advise you if the price is in line with recent sales in the neighborhood, or contract with licensed realtor to represent you. 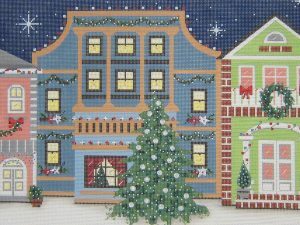 Yes, you will pay a commission but you can be certain that a reputable realtor will work to get you the highest price, not just a “fast and easy sale”. Never work with someone who is recommended by an investor looking to purchase your property – that person will represent the best interests of the buyer and not you. As with any large financial transaction, don’t take the first offer that comes along and hire an independent professional to represent YOUR interests.